Create a feeling of instant cool after waxing treatments. Clean & Easy Soothe Soothing Aloe Vera Gel can be instantly applied to irritated or reddened skin associated with waxing. 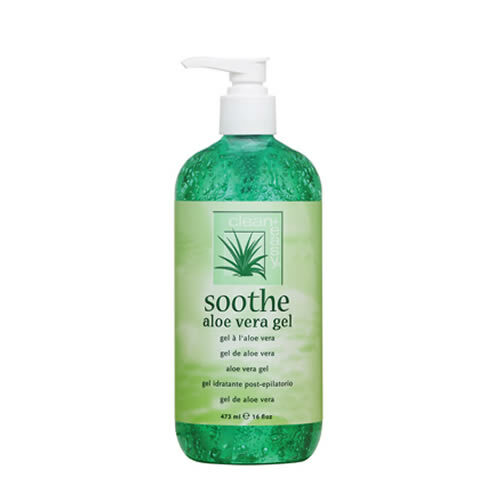 It contains Aloe Vera and Allantoin to get to work cooling, soothing and helping to reduce any discomfort in a natural way. Comes in a 473-ml bottle. £8.34 (inc. VAT) Why no VAT? We're a trade wholesaler and quote our prices without VAT to help our VAT-registered customers understand the true cost of a purchase.